my small office area at home, the local coffee shop, or even aboard an airplane if I’m traveling. Instead of sitting in rush hour traffic each afternoon, I get to pick my son up from school each at at 2:30, take kickboxing classes in the morning, and schedule my day how I please. I’m still working and doing plenty of it, but I’m loving the freedom and flexibility freelance writing has provided me with. I think anyone who’s interested in becoming a freelance writer can definitely turn it into a full-time career. You’re probably on this site to find legitimate and flexible ways to earn extra money but if you don’t like your main job, why not get rid of it and become a freelance writer? In this post, I’m going to show you how to quit your job to work from home and live life on your own terms as a freelance writer. If you want to write for a living, you can’t be afraid to go full force. You don’t really need any special degree, certificate, or training to become a successful freelance writer but the more you know about the craft, the more likely you are to land a great gig due to your experience and portfolio of work. Even if your only spending 10-20 minutes per day writing, your writing will get better and better over time and people will start to associate you with freelance writing. You should set up a portfolio online to showcase all your writing work. I’d recommend setting up a free portfolio online with Contently. This part isn’t nearly as fun, but it’s necessary if you actually want to get paid for your work. It’s important to always scope out sites you’d like to write for and people you’d like to work with so you always have someone to pitch. I sent out a lot of pitches when I first started freelance writing and that was because I knew I wouldn’t hear back from everyone. If you send out 7 pitches in a week and hear back from 2 people, that’s still worth it in my opinion. Always make sure your pitches are short and to the point, use correct grammar and spelling, and include some of your best writing samples. I usually send a few topic ideas as well when I pitch to let the client know I have looked at their site, understand their audience, and can contribute creative ideas. This extra effort usually sets me apart from other freelancers who simply send pitches with no proposed topic ideas for the site. If you’re not a big fan of pitching, you can create a small site or blog and include a ‘Hire Me’ page that includes the services you provide and some of your best writing samples. Promoting that page on social media and in your network may feel less hectic than pitching. As a new freelance writer, you may not feel like your Hire Me page will get you any jobs, but you could be wrong. I landed my first official freelance writing client after they looked at my Hire Me page and actually emailed me with an interest to work with me. It felt great that I didn’t have to pitch them first. Once you’ve landed a few clients, don’t be afraid to ask for referrals after a few months if you’ve been doing awesome work. Your clients may know someone who needs a freelance writer or they may even have extra assignments for you so all you need to do is ask. Another important thing you can do at this time is build your network up. It doesn’t hurt to communicate with other professionals in your industry and even other writers. You may think all freelance writers are in competition with each other, but we’re not. There is plenty of work to go around for everyone and I’ve joined Facebook groups, attended webinars and events, and even reached out to people on Twitter to make an introduction which didn’t always lead to a referral but it was nice to make the connection. I actually took a successful freelancer writer’s course to help me get started and she had an awesome Facebook group that helped me land a few new clients. After you’ve been freelancing for a while, you may realize that it’s time to raise your rates with some clients. It can feel weird to do at first but you have to do it. Traditional employees get raises every year so there’s no reason why freelancers shouldn’t. 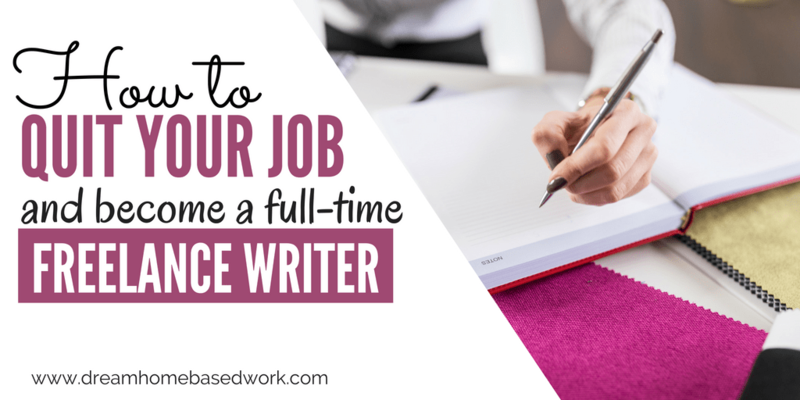 Freelance writer usually have to do quite a bit of admin work each month whether it’s responding to emails, sending invoices, or interviewing people and you need to factor all that time and effort into you rate. If you are trying to quit your job to freelance full time anyway, a raise could definitely help. All you need to do is ask and see what they say. I hope you've been having a good week. I can't believe it's practically been a year since we've been working together. Time flies! I've absolutely loved writing for (Name of site) over the past year and I've enjoyed covering a (Insert topics from some of your best or most popular posts), in order to help readers. This year, I plan to be more selective with my writing clients, so I can offer the most value to existing clients. Because of this, my minimum rate will increase to $___ per post (or $____ per word – whichever you prefer). I'd love to continue our working relationship if this is doable for you. Please let me know if you have any questions or concerns about my new rates. Those rates are fine with me 🙂 I think you do an awesome job and have been happy with every single blog post you've written for my site. I’d be lying if I said that growing your freelance writing business on the side while you have another full-time job is easy because it’s not always so simple. Sometimes you get tired, burnt out, or unmotivated. That’s why you need to always make sure that you are doing work that you love and charging a rate that you can feel happy about. When it comes to finding time to grow your freelance writing business on the side, you may have to cut out activities like watching T.V. in the evening so you can work. You may have to get up early, stay up late, or work on the weekends to keep afloat but it will all be worth it. When I was freelance writing on the side, I used to get up at 5am each morning before work during the week, use my lunch break to check emails and send pitches, and knock out an additional article or two from 8:30-10pm. That schedule gave me an extra 15 hours per week to work on freelancing Monday through Friday and I still had time on the weekends to relax and enjoy my friends and family. Establishing a freelance writing side hustle and turning it into a full-time job may not happen fast, but with time, effort, and determination, you can make it happen and start living a better life by doing work that you love. I started freelance writing on the side in March 2015. By the end of that year, I decided I wanted to quit my job to be a freelance writer and it took me about 9 months to put everything into place. As you can see, you’ll need to save a lot prior to quitting your job since freelancing is rewarding but very different from working for a traditional employer and receiving the financial stability they provide. All in all, I love working for myself and wouldn’t have it any other way. 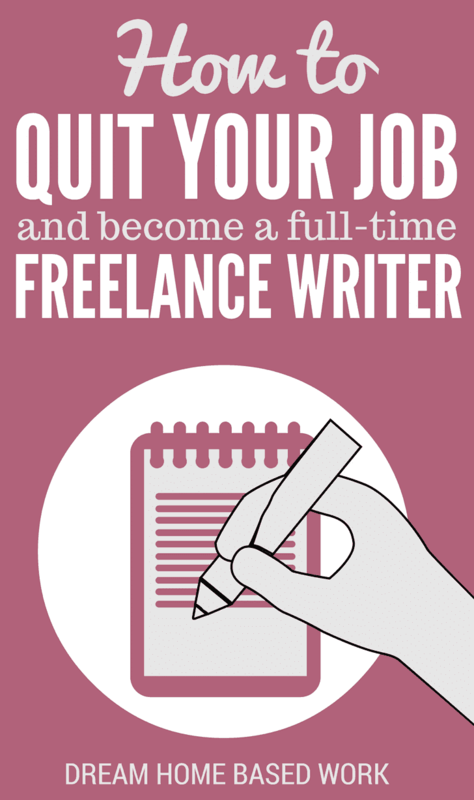 Have you ever thought about becoming a freelance writer and working for yourself? What’s held you back from making the leap from your traditional job. Do you have any questions for me about freelance writing?